Did you know you NEVER have to pay for service with us EVER again? Learn about Paradise Lawns’ REFERRAL REWARDS PROGRAM! 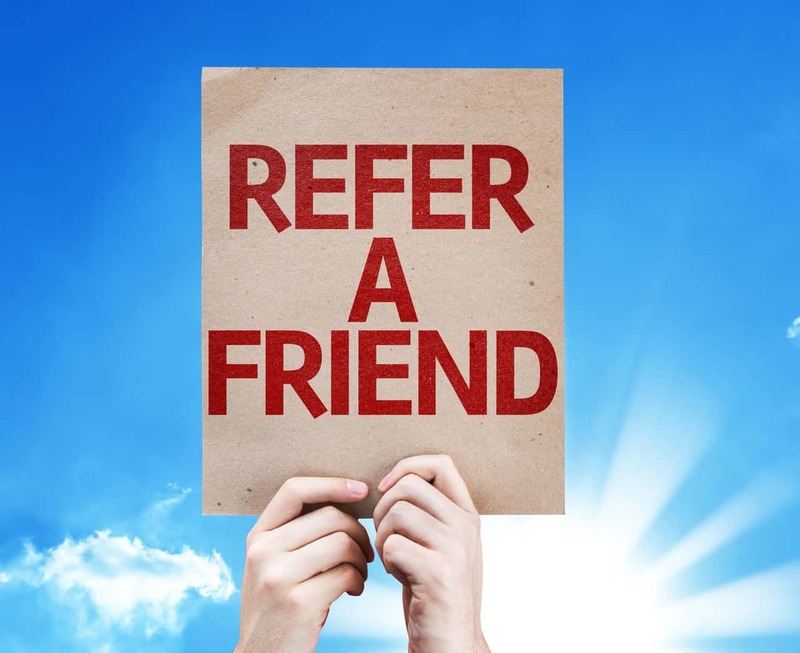 We are thrilled to offer a Referral Rewards Program to show our appreciation to you for referring us to your friends, family, neighbors, and colleagues. A 10% Referral Reward (minimum of $25) is offered to anyone who refers a new client to us. Refer someone and get FREE CASH or SERVICE when he/she becomes a new client. A Referral Reward Certificate is mailed immediately after your referral has paid for their service or package in full. It is redeemable for CASH or FREE SERVICE in the amount of the certificate and valid for one year. The certificate is transferable if you would like to pass it along to a friend or keep it for yourself! Have your friend contact us about our services. Be sure they mention your name so you get credit! Submit your friend’s information online using the form on this page and we will contact them. Please be sure they are aware we will be contacting them to discuss their lawn care or holiday lighting needs. In order to qualify for the Paradise Lawns Referral Reward Program, the referral must be a new client and be located in our service area. After they have used us once, they become a repeat client. They must be aware they will be given a FREE no obligation quote.